Converting TIFF to BMP is a common task for graphic designers or common users who have problems with format compatibility. 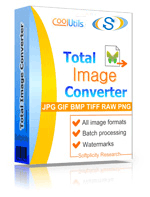 If you need to convert many TIFF images to BMP format, it is better to use batch image converter that will save you 95% of time required for this operation. This program optimizes the process of numerous image conversions, combining it into one single operation. 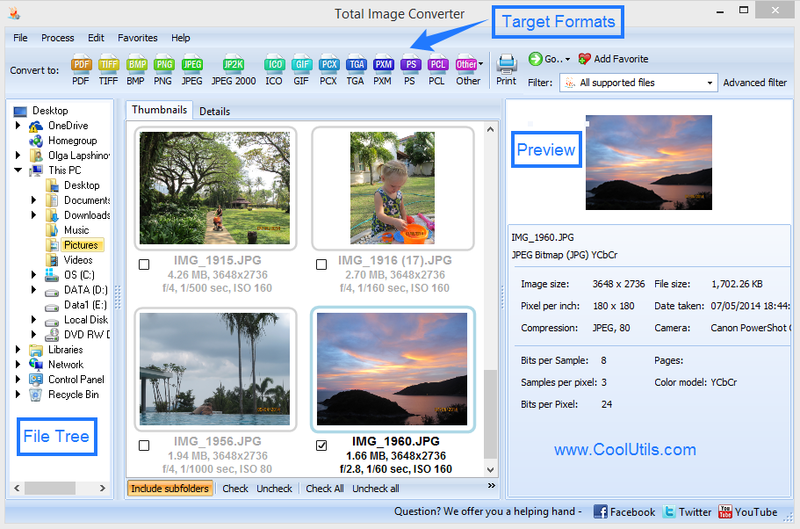 You can be sure in the efficiency of batch mode offered by Total Image Converter. This utility supports numerous formants, and TIFF into BMP conversion is one of its modes. Form a batch of source images in TIFF format. If you have a folder that contains files of different formats, you can sort out TIFF images by applying a *.tiff mask. Choose BMP as a target format by pressing BMP button on the top of the program window. Specify settings for the source batch (cropping, rotating, resizing, colour palette, watermarks). These actions will take you a couple of minutes, depending on the amount of images you would like to convert. The source batch can be formed automatically, if all images are located in one folder. You can check off this folder in the navigation pad, and all images it contains will further be converted to BMP. When you convert TIFF to BMP in batch there is no need to create a name for each file separately. BMP versions will have the same names as source files have. Watermark option of this TIFF BMP converter allows adding logos, text commentaries or specific image frames. The watermark you set will be present on all images from the batch. You can add frames and logos from separate files, while comments are entered manually. 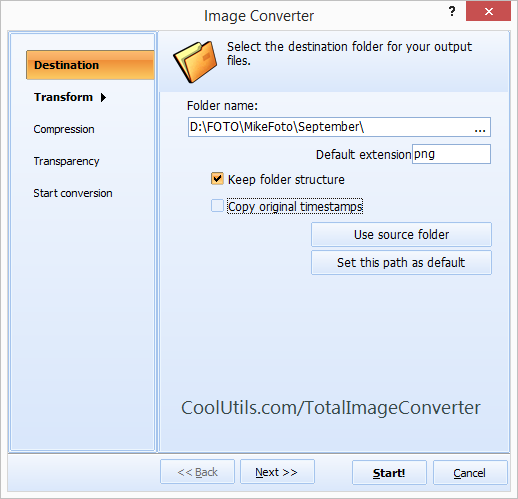 Total Image Converter is the quickest batch converter for processing TIFF files. Get sure in this right now!